We're greeting cards for a new generation. We're here for your bestie's birthday, your bro's big news, your sister's brand new baby, and everything else in between. We talk like you, walk like you, and even look a little like you. (Super cute haircut, BTW.) From funny to heartfelt, OMG to awww!, justWink is there with the perfect card. to learn more. We're sure it'll make you smile. to find us in a real-life greeting card aisle near you. We're all about creative gift-giving, but we also know that sometimes, you just want to give someone a gift card. 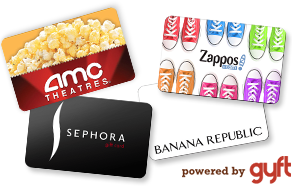 And sometimes (mayyybe on the off chance you jussst remembered someone's birthday), you want that gift card like NOW. Easy enough. We've partnered with Gyft, so you can add a digital gift card to your already-pretty-awesome greeting card in just a few seconds. While you're personalizing your greeting card (on your phone), just choose the "add gift card" option and you're on your way. Perfect for long-distance sending and last-minute thoughtfulness alike. Wish you could transform yourself into a tiny, magical elf to live inside your card and deliver a message with your own voice? 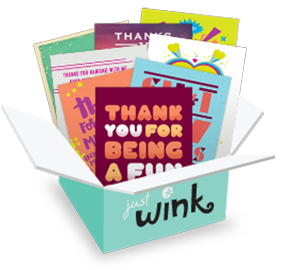 With any cards you send from the justWink app, you can! (Kinda.) 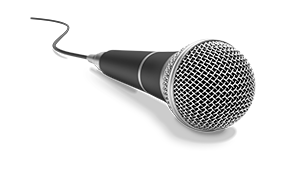 At the personalization screen, just tap "add voice message," record that golden voice of yours, and it'll be ready and waiting for when your card is opened. Ok, we get it. You want to send a real card through the mail, but you don't feel like going to the store. No biggie! Any and all of the greeting card goodness you find on your phone app, or at justWink.com, can be turned into a real paper greeting card, delivered straight to someone's door. 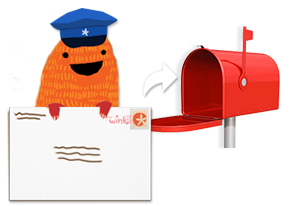 Just create your card and choose "real mail" as your sending option. Boom. Done for the price of a fancy coffee. Hooray advanced technology! Hooray paper greeting cards! Inject your Apple Watch with equal parts thoughtfulness and hilariousness. 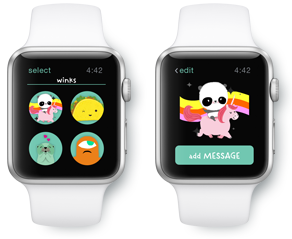 The justWink app can send greeting cards and animated messages, all from the comfort of your own wrist. 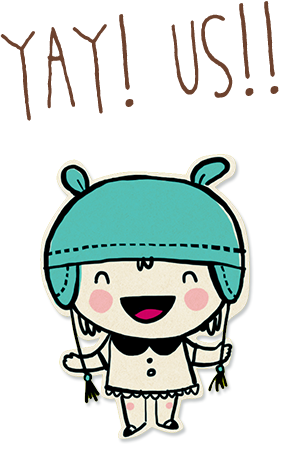 Winks -- Choose a preset message, or create your own, and have it delivered by a freaking adorable, animated character. On the surface, these may seem like regular justWink cards, but we took our standard methods of card creation and added the dust from ground-up unicorn hooves (antibiotic-free, locally sourced, and humanely raised, of course). We also added steroids. Lots of 'em. The results are the most super-exclusive, single-tear-inducing, bestest greeting cards we've ever made. Buy any primo pack (12 cards) for $1.99 or be a complete baller and get all of them (That's 60 cards!) for just $3.99.